Is this the same guy??? So we can't figure out what's going on here. There are two videos to watch to fully analyze and understand what got us flabbergasted. Watch the first video and pay special attention to the room, the calendar and the chair. When he shows the calendar and chair he has the camera upside down so it can be confusing. Please watch the first video now. Skip to 3:30 if you wish. 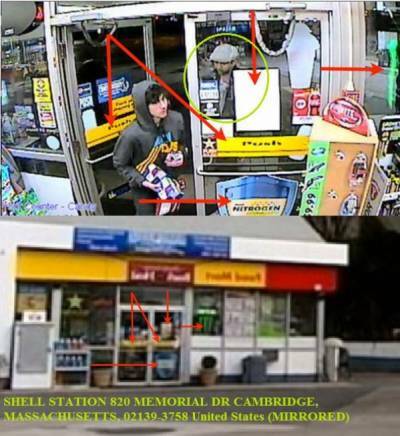 *FBI said they had a footage of the Tsarnaev brothers leaving their backpacks, which they claim contained the bombs. 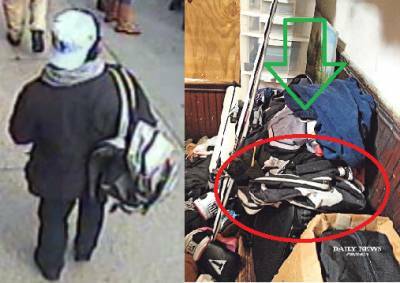 *FBI showed the backpack Dzhokhar Tsarnaev carried April 15, the day of Boston Marathon. PHOTOS FBI released reveals that Dzhokhar's backpack was found in his house AFTER the incident - No scratches to be seen. WERE THEY WALKING IN OR OUT OF THE GAS STATION?